If you live in Washington and you need to find a land surveyor or want information about land surveying you should give us a call at (208) 850-7506. We can help you get an understanding of the basics of land surveying. People often ask us questions about how to get a land survey, how to get their land surveyed, or how to get a boundary survey. We can provide you with the basic understanding of surveying. Land surveyors and land surveying companies provide land survey services to help you document your land boundary lines, or property boundaries. Wellington Land Surveying is a licensed surveyor in the state of Washington. Our Washington land surveying license Number is 42442. Only professionals licensed through the Washington Board of Registration for Professional Engineers and Land Surveyors are authorized to perform land surveys in the state of Washington. A professional land surveyor is a highly specialized professional, whose education, experience, and competence have been thoroughly examined and who has been licensed by the state to practice land surveying. 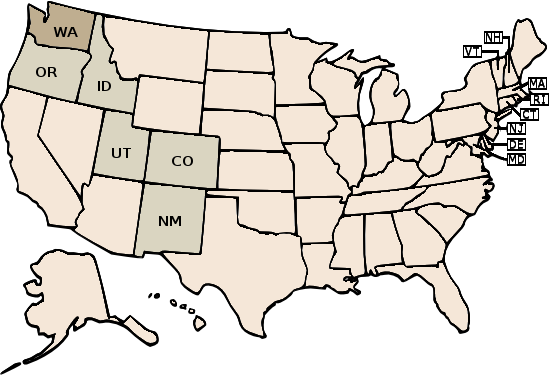 Other than Washington, Wellington Land Surveying is licensed to provide land surveying in Colorado, Idaho, New Mexico, and Utah state. Wellington Land Surveying provides quality, experience, and trust. We have over 30 years of experience and began our business in early 2007. At Wellington Land Surveying, we provide consulting services for our clients’ needs and evaluate their exact land survey requirements. We provide our clients with professional and accurate surveying services. We believe in providing quality work and accurate land surveying services. Our services always on time and comes with precise results. For more information on how we can help you with your Washington project please contact us give us a call at (208) 850-7506. Copyright © 2003–2019 Wellington Land Surveying - Professional Licensed Land Surveyor - Meridian, Idaho. All Rights Reserved.